Introducing JaJaJa Books: Bilingual Children’s Books with a Difference!! Please check out our new sponsor Little Passports. 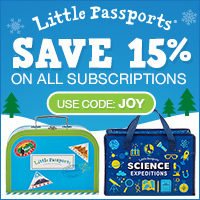 Give your kids the gift of the World! Discover a new country each month, with souvenirs and hands-on activities. Today we’re delighted to introduce ya’ll to Genevieve Yusuf, owner and children’s book author at JaJaJa Books. JaJaJa books are written predominantly in English with foreign language vocabulary popped in at the right place. Have a listen to this episode and, you will be surprised how much JaJaJa books help you pick up, as well as your children! Genevieve was born in Colchester, Essex in 1978. She studied at the University of Sussex and has a degree in Linguistics and Spanish. Writing the books has brought the two of her passions together. She has been a private Spanish tutor to children for many years and picked up along the way, what interests children and what makes them tick! She noticed that children learn best when they don’t realize they are learning. That is why a fun story is a good way to introduce another language. As part of her degree, she studied second language acquisition in children and is aware that introducing a foreign language to a child at an early age is the best for their learning. Genevieve also volunteers as a writer and proofreader for two local magazines. In her spare time, she loves walking in the countryside and being at home with family and pets! Award-winning JaJaJa books would like to take you and your child on a learning experience within a story…. As recommended in the Times Educational Supplement – you will see your child not only learn new Spanish or French words within 7 DAYS but you can learn with them. A child’s brain is like a little sponge soaking up information. 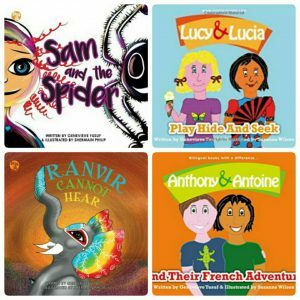 Our books expose children at a young age to a new language, without them even realizing they are learning. The stories are written predominantly in English with foreign language vocabulary popped in at the right place. Have a read, you will be surprised how much you pick up, as well as your children! You can preview how it works under “Books”. A lot of the situations and storylines are relevant so when you and your family go on holiday, to a restaurant or to the beach, you will have some language skills already under your belt. The pronunciation guide at the back makes sure you are confident that you are saying the words correctly. Follow more stories of ‘Lucy and Lucia’, ‘Phillip and Felipe’ and ‘Amelia and Amélie’ to learn Spanish or French in a fun and context-driven way. How did Genevieve start JaJaJa books? How did the JaJaJa books name get out to the public? Exclusive sneak peek into her upcoming projects and business plans…Tune in now! A big thank you to Genevieve for joining us and for sharing her books & her passion with us! We’d love to hear about any other adventure books you’ve enjoyed. Feel free to connect with us on our social media, or email us anytime by contacting us. Happy listening!